Norman Graham Jr. was born and raised on Flint’s Southside and attended Clark and Stewart Elementary, Whittier Junior High and graduated from Flint Southwestern High School in 1978. Norm was one of seven African-American children from Flint’s Southside to join the Greater Flint Hockey Association, he was selected team captain and become the leading scorer on all but two of his teams. 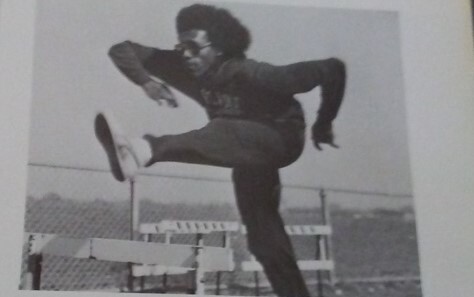 Norm turned his focus to Track & Field upon entering Flint Southwestern and was a member of the 1977 Flint Southwestern Colts State Champion Track Team. In 1978, he was a Co-Captain for the state runner up team. That year Norm also earned All-City, All-Valley and All-State honors. Norm was a City & Saginaw Valley champion in the 220-yard dash, 440-yard relay and 880-yard relay. He also became a Regional and State Champion in the 440-yard relay and 880-yard relay. At the 1981 CANUSA Games Norm broke the 400-meter record. Norman Graham Jr. continued his Track & Field career at Eastern Michigan University where he earned his Letter Jacket before the end of the indoor season. In 1979 at the Penn Relays he anchored the first place 800-meter relay team in the consolation race. In 1981 Norm was the Mid-American Conference Track & Field Indoor Champion in the 300-meter and was ranked 7th in the world by Track & Field News. That same year he also set the 100-meter track record at the Ball State Relays, and was the Central Collegiate Conference Outdoor Champion in the 400-meter. After his collegiate career Norm joined the United States Air Force in 1982 where he continued his track career and won the 100-yard dash while attending Basic Military Training at Lackland Air Force Base in San Antonio, TX. After his technical training and assignment to Tinker AFB, Oklahoma, he was selected as a member of the USAF Track & Field Team in 1985 but was unable to compete due to injury. Norm retired from the Air Force in 2006 after servicing for 24 years, he was deployed to Southwest Asia five times in his last eight years. Norm now works for the National Guard Bureau in Arlington, VA.
Norman J. Graham Jr. you are the true definition of being “Flint Strong”! You have made Flint proud, welcome to the Greater Flint African-American Sports Hall of Fame!